It is always exciting to hear about the discovery of a previously unknown mural or a recently uncovered one. 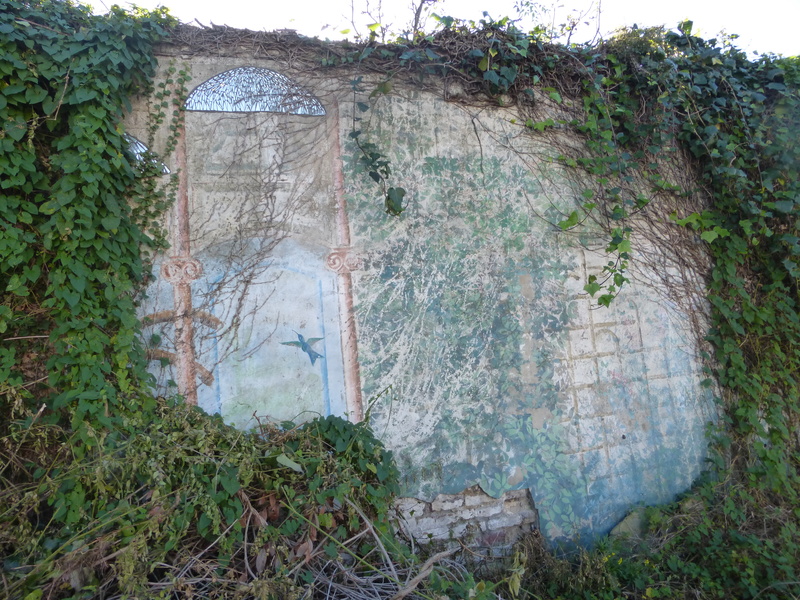 So we were delighted when we received an email at the end of last year informing us that the remains of a mural had been discovered hiding behind some ivy in Hackney. We went and took a look! We met up with Gerry Tissier who is involved in running the Daubeney Fields Forever project. He told us that a plant covered wall opposite some garages on Daubeney road was hiding a mural which had been discovered as volunteers worked to turn the space into a community garden. Upon arrival, it was hard to make out the mural but on closer inspection and with the removal of some overgrowth what was hiding behind was a scene of plants and birds. It was easy to identify as a piece of work by Free Form Arts who were working in Hackney from the late 1960s to 2012. This mural, called ‘Daubeney Garden’ was created in 1980-1 and involved the help of local residents from the neighbouring Kingsmead estate. One of our LMPS’ volunteers worked on it as a child. The mural is executed in paint and has mosaic glass details which reflect the light and make the wall sparkle. Now the mural is being uncovered, the next question is what to do with it. From a brief examination of the render, it looks to be in a poor state. 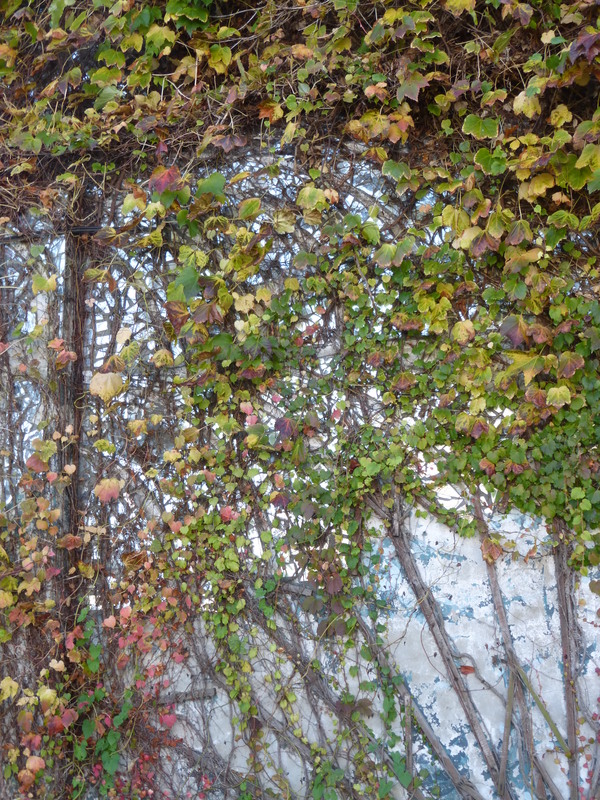 It might be possible to save certain sections of the mural and either let the plant foliage dominate the remaining parts of the wall or create a few new murals in the other spaces. We recommended that this is a decision for local people to make. We at the London Mural Preservation Society will let you know what they decide and keep you posted! This entry was posted in London Mural Preservation Society, London Murals, Restoration and tagged Community Murals, Free Form Arts, Hackney, London, Mural. Bookmark the permalink.